Welcome to Casa Catalunya. 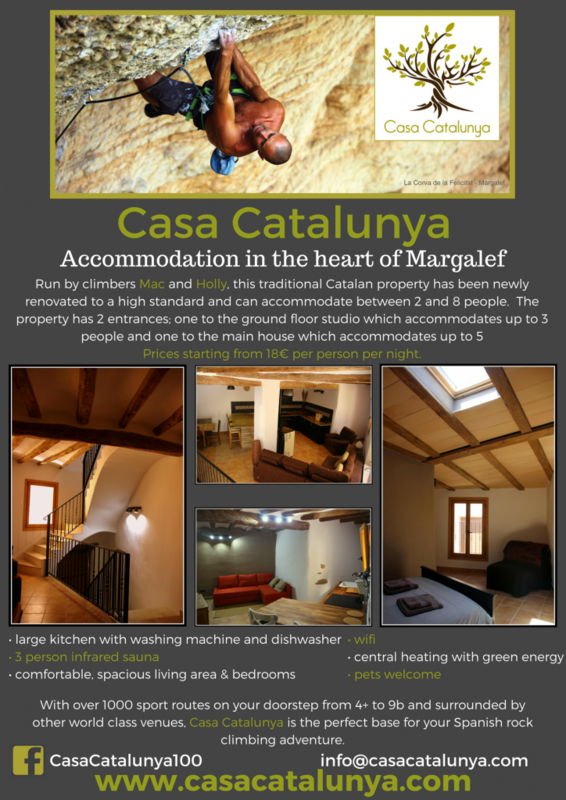 This traditional Catalan property has been newly renovated and is loacted in the centre of the village of Margalef. Margalef is famous for it’s rock climbing as well has being a paradise for walking, wine tasting in the Priorat, road biking and so much more. The property has been renovated to a high standard and comfortably sleeps up to 6 people with prices starting from 18€ per person per night. Our love affair with Catalunya began almost ten years ago. The endless and varied rock, friendly locals and delicious cuisine drew us to base ourselves within this region. We are both fanatical climbers and love Margalef for it’s beautiful scenery and it’s variety of outdoor opportunities. We look forward to meeting you here at Casa Catalunya and hope that you will fall in love too!! Mac and Holly. Casa Catalunya shared a link. Casa Catalunya shared a post. 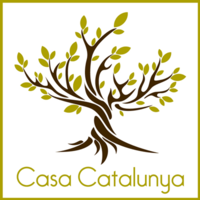 Casa Catalunya shared a photo. We were so lucky today to see Marc Pinyol at the El Pont - Camping Margalef with honey comb straight from the hive!!! Sending power up to full ... 'Venga A Muerte' with Liam Lonsdale and Ian Macdonald!! Casa Catalunya is feeling pumped at Casa Catalunya. Casa Cataluyna just received some of Crusher Holds quality products. We now have a Matrix finger board in the house and also Mission Portable finger boards that clients can use at the crag free of charge during their stay.